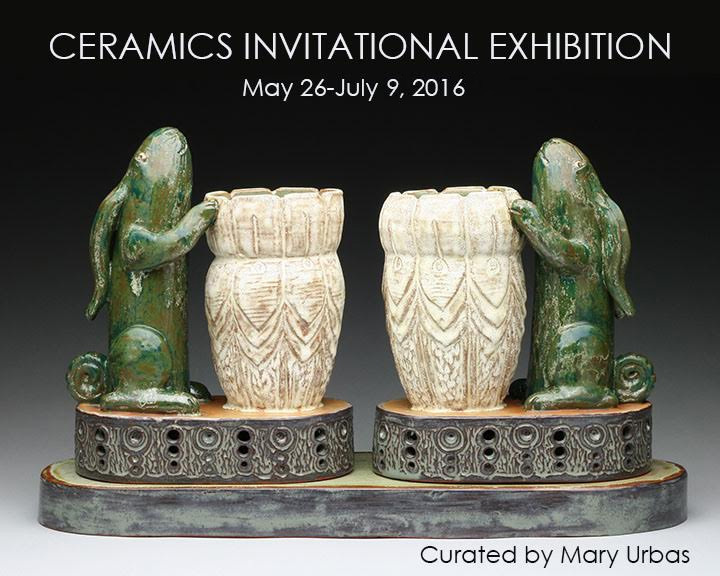 The Artists Archive of the Western Reserve is proud to present its Ceramics Invitational Exhibition, a showing of the vibrant work of local ceramic artists. Curated by Mary Urbas, this exhibition highlights the exceptional clay community of Northeast Ohio, bringing to the forefront their unique and diverse vision of this primordial medium. The show’s ample roll call features pieces from 17 regional artists including Jeffrey Allen, Tracy Ameen, Diana Bjel, Susan Gallagher, Yumiko Goto, Michael W. High, Eva Kwong, James Leslie, Lynne Norwood Lofton, Jenny Mendes, Sandy Miller, J. Derek O’Brien, George Roby, Jack Rotar, Mindy Sand, Brinsley Tyrrell, and Theresa Yondo. Mary Urbas, Gallery Director at Lakeland Community College, has over 35 years of experience in the professional art world as a gallery owner, curator, teacher and consultant. Urbas’ careful selections both exalt the alchemic quality of ceramics as the invocation of art from raw elements, as well as pay homage to the artist’s mastery of texture, painterly color and transmission of idea through form. Opening wine and cheese reception on Thursday, May 26th from 5:30pm-8:00pm.